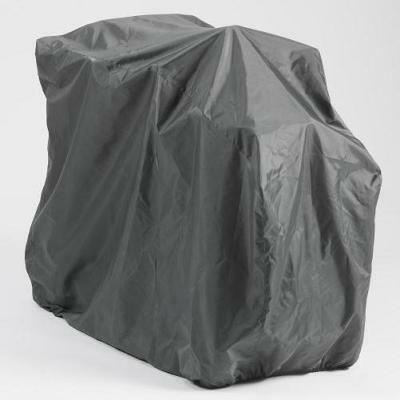 This Mobility Scooter Cover is PD Care Products own brand and offers easy protection for your mobility scooter to meet the elements of the weather during storage. 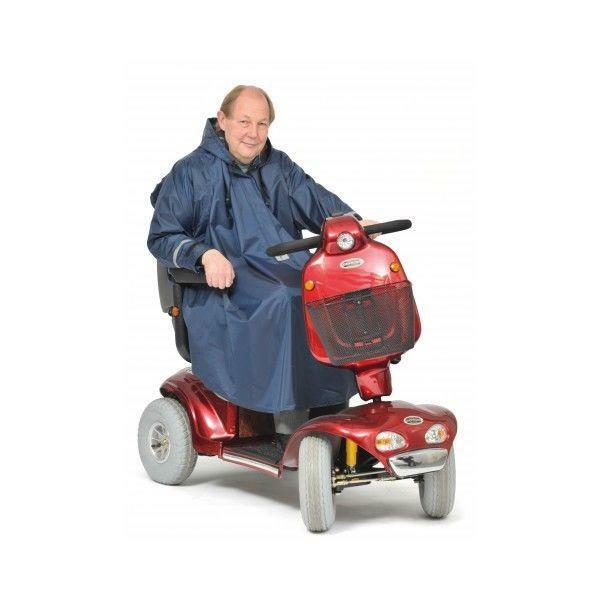 Our practical and affordable mobility scooter covers waterproof are made from high quality heavy duty 100% Polyester fabric with PVC backing and comes in a fashionable Navy Blue colour. We have also added sealed seams to stop water penetration making it more durable and longer lasting but more importantly fully waterproof. 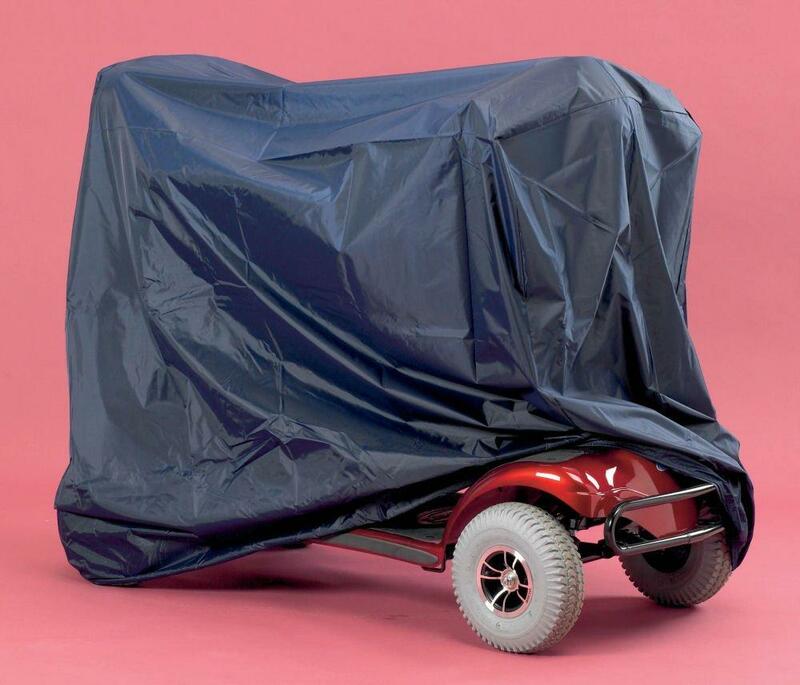 This standard size mobility scooter rain cover will fit most standard three and four wheeled small to medium size mobility scooters. This version comes with an elasticated cord with eyelet and a clamp to keep the chord tight and secure when fitted. 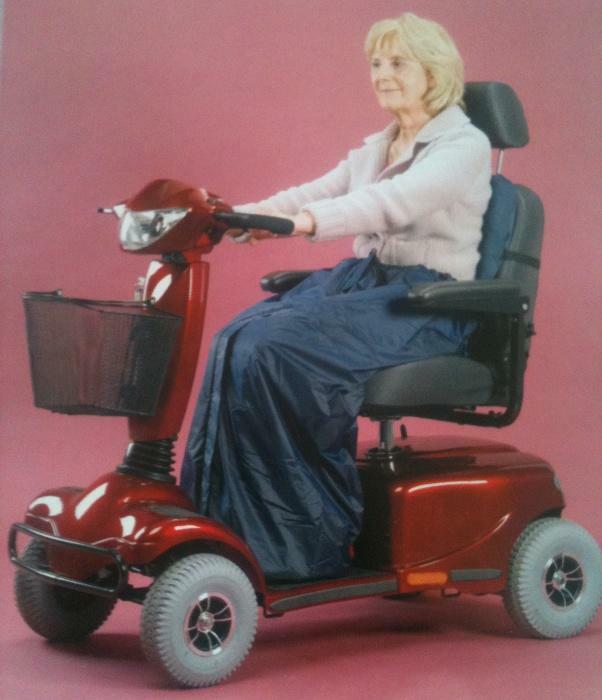 The mobility scooter cover is an easy wipe over fabric or can be washed to 40°C. These products are great mobility scooter accessories and can fold and be stored in a simple bag when not in use. 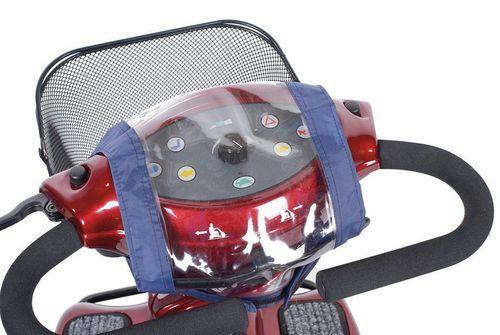 Super value for money and if you need a larger size then check out our mobility scooter protector available in the Accessories section. (H) 91 x (W) 68 x (L) 140cms | (H) 36" x (W) 26¾" x (L) 55"